Its that time of year again! 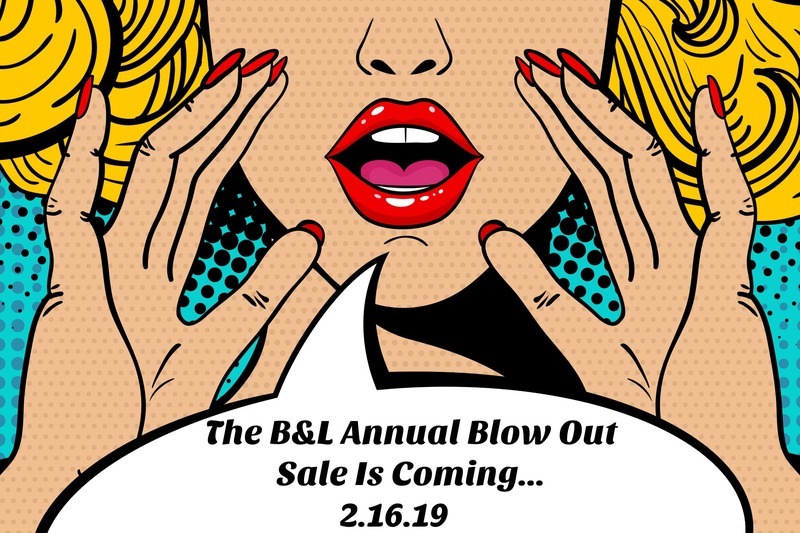 The B&L ANNUAL SALE IS HERE!! TIME: 9 am (sharp!) - 1 pm! Prices are between $3 - $30! There is a parking lot to park and also lots of street parking! THIS IS A ONE DAY ONLY SALE, it is not available online or in our stores. We suggest getting there nice and early! The line begins to form before 9am! We save merchandise from the whole year from all of our stores combined just for the sale! For further questions email us at info@bobblesandlace.com! or live chat us on our homepage! We look forward to seeing you there!!!!! Get ready to shop! !